We looked at the Mona Lisa in relation to three things: Our Lady of Perpetual Help, Durer’s Young Hare, and the Reformation. The Mona Lisa is not a picture of God, Mary, or an angel. The Mona Lisa is a picture of a normal person. This means that art can be personal, about you and me. And when art is personal, about you and me, it has to look like you and me. In the Mona Lisa we see improvements in the technical skill of the artist. 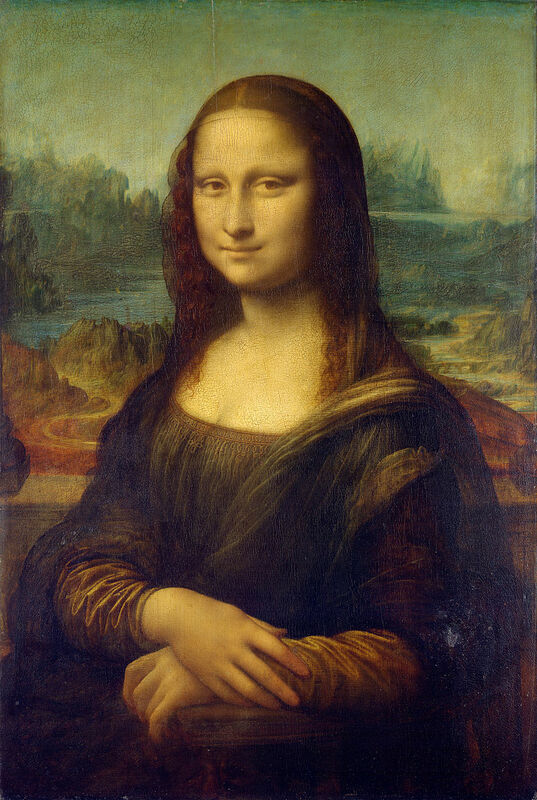 In the Mona Lisa we especially see da Vinci’s use of an uneven background to affect perspective, and the use of sfumato around the eyes and mouth to leave out some details. Our minds will fill in the details of what the eyes and mouth look like and express. This is what gives the painting so much power. Figuratively and literally, it moves us. da Vinci, L. (1503). Mona Lisa. Paris, Musee de Louvre.